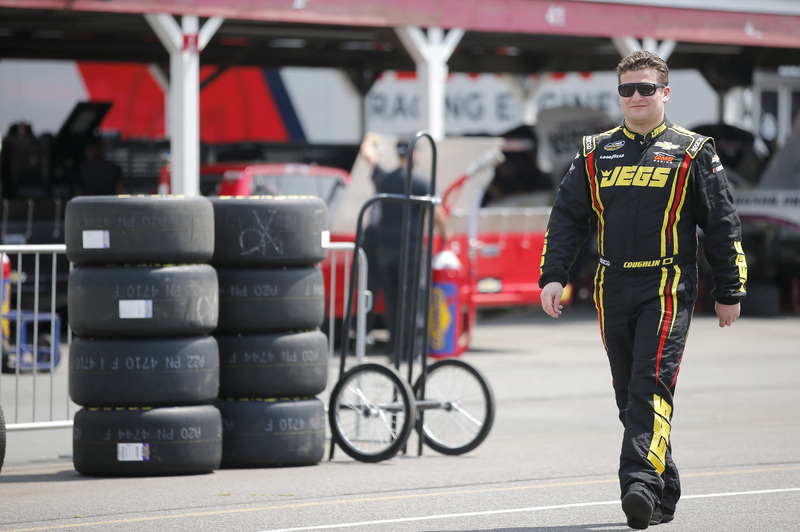 STATESVILLE, N.C. (August 9, 2018)—Cody Coughlin, driver of the No. 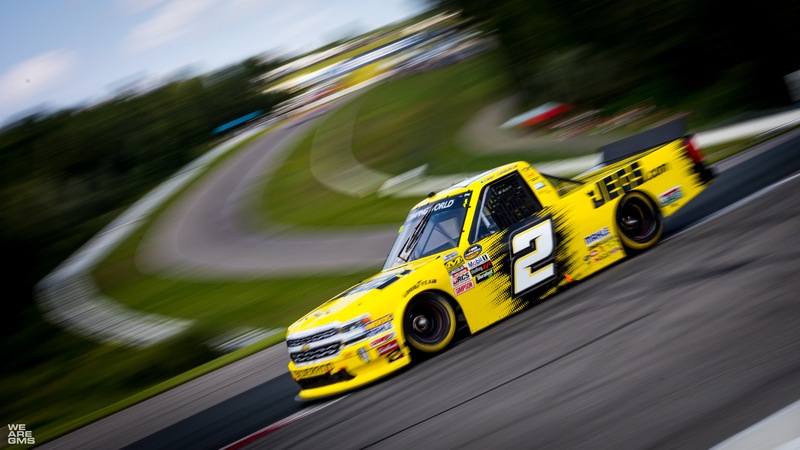 2 JEGS Chevrolet Silverado, will bring Hollywood to the Michigan International Speedway (MIS) for the NASCAR Camping World Truck Series (NCWTS) Corrigan Oil 200 on Saturday, August 11. The Hollywood spotlight will shine on the two-mile speedway which lies nestled on more than 1,400 acres in the Irish Hills area. Coughlin has a featured cameo role in the upcoming God Bless the Broken Road, a film set to hit theaters on September 7. Coughlin’s appearance comes alongside stars Lindsay Pulsipher, Andrew Walker, Jordin Sparks, LaDainian “LT” Tomlinson, Makenzie Moss, Kim Delaney, Robin Givens and more. The film combines the elements of faith, country music and stock car racing, and pays strong tribute to those who serve in the military and their families. A portion of the profits from the movie will be donated to various charities, including God Bless the Broken Road’s partnership with Disabled American Veterans (DAV). The Delaware, Ohio, native is an ambassador for the DAV, a nonprofit organization that provides support for America’s ill and injured veterans. Coughlin placed the DAV on the No. 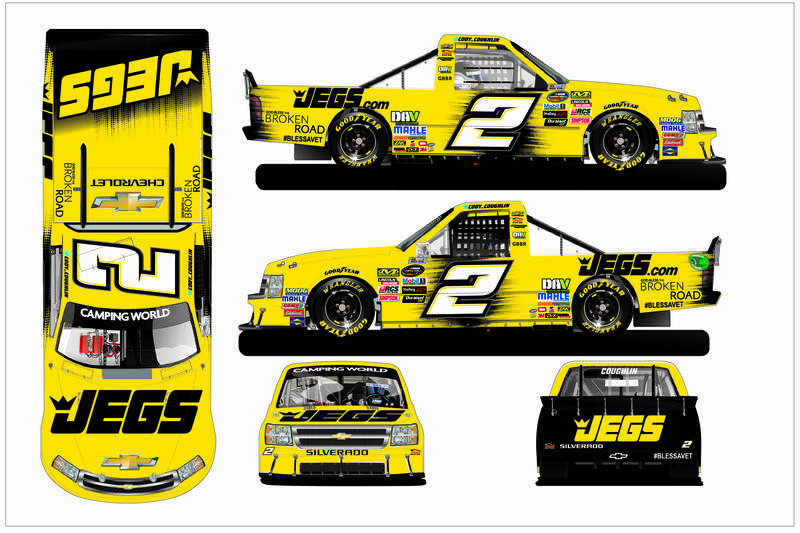 2 JEGS Chevrolet Silverado as a B-post decal at the Chicagoland Speedway on June 29, and will continue to honor the DAV for the remainder of the NASCAR Camping World Truck Series season. His ambassadorship will include support for a variety of DAV campaigns, including the #BlessAVet campaign. In support of the organization, film and the initiative, Coughlin’s No. 2 JEGS Chevrolet Silverado will feature the DAV, God Bless the Broken Road and #BlessAVet at the Michigan International Speedway. #BlessAVet is an initiative launched in partnership with the DAV, Fandango, and the film God Bless the Broken Road where people can contribute to send a veteran to dinner and to go see God Bless the Broken Road in theaters. Through the #BlessAVet initiative, the public can brighten the day of an American veteran by donating a movie ticket to God Bless the Broken Road and a $25 Restaurant.com gift card to them. In addition, a portion of the proceeds from the film goes to the DAV. God Bless the Broken Road has strong Michigan ties, including scenes at the Berlin Raceway, located in Marne, Mich. Berlin Raceway is a celebrated track in the Late Model racing circuit. 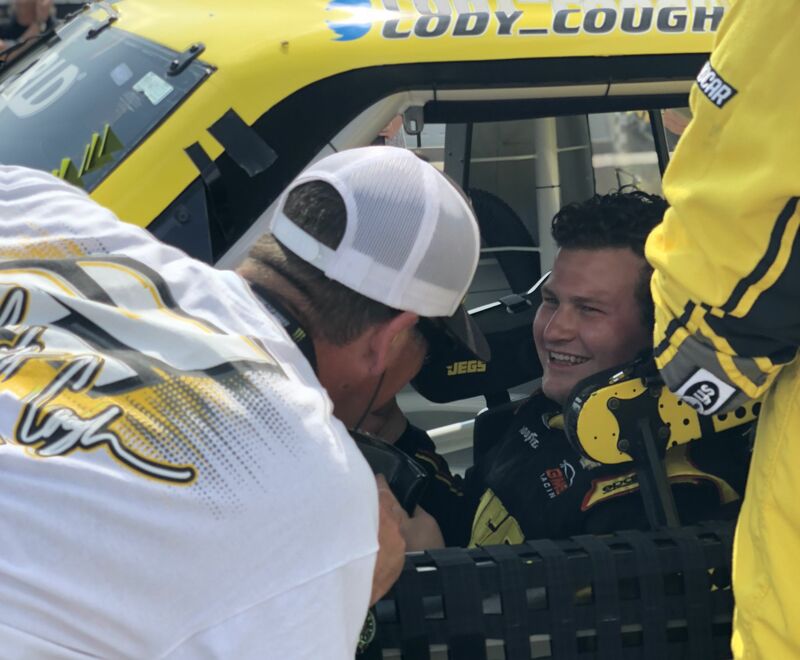 In the Late Model ranks, Cody Coughlin has two top-five finishes, and two top-ten finishes in four starts at the Berlin Raceway. 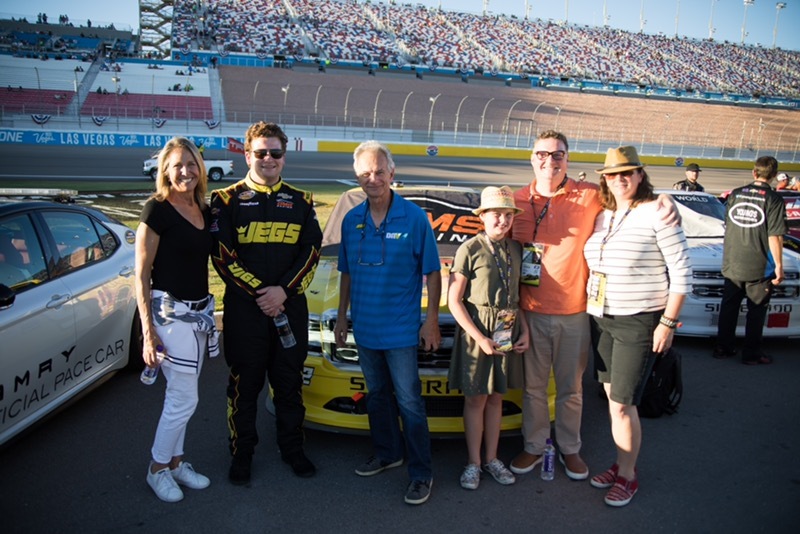 In 2016, Coughlin posted a second-place finish in the JEGS/CRA All-Stars Tour Presented by Chevrolet Performance, and on the same weekend finished in the fourth-place in the ARCA CRA Super Series Powered by JEGS on June 13 at the .4375-mile track. Coughlin made Champion Racing Association (CRA) history as the first driver to ever win both the ARCA/CRA Super Series, and the JEGS/CRA All-Stars Tour championships in the same season. As well, Harold Cronk, the film’s director, hails from Reed City, Mich., and will be in attendance to the 100-lap event as an honored guest of the Coughlin Family. In addition, producer Edgar Struble will be in attendance with his family. 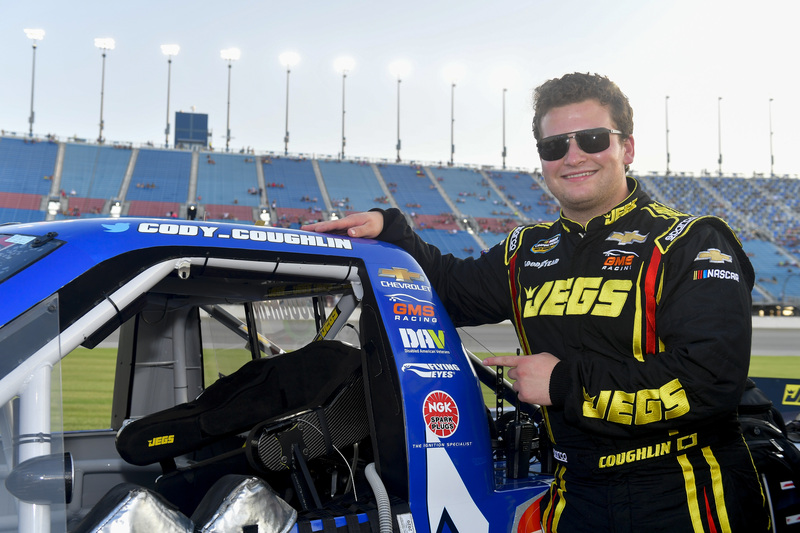 This weekend marks Coughlin’s fourth Michigan International Speedway appearance with the NASCAR Camping World Truck Series. Last year, the Delaware, Ohio, driver finished in the 21st-place at the Michigan International Speedway. 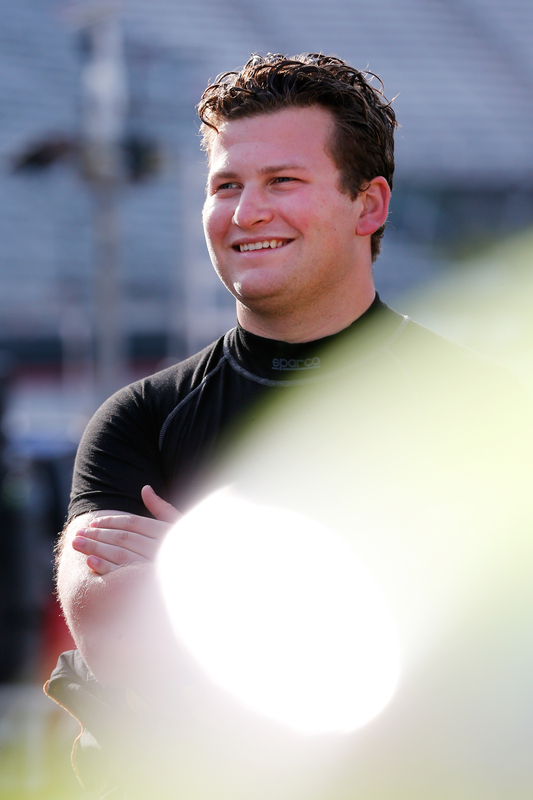 He made his track debut in the NASCAR Camping World Truck Series on August 15, 2015. Coughlin also has two starts in the Automobile Racing Club of America (ARCA) Racing Series at the Michigan International Speedway. “Momentum is going to be big there – especially with the new engines,” Coughlin said. “My guess is that we will run in the middle of the track and up to the top groove. The draft is going to be big as well, especially for making moves. If I get a big run, I’ll make a pass on the bottom lane, but only if the timing of the run is right. My main thing is to take advantage of those in front of me, who may be bogged-down in traffic, and make those spots up as quickly as I can so I can keep my momentum rolling. In 11 combined NASCAR Camping World Truck Series starts on speedways (tracks over 2-miles in length), Coughlin has recorded one top-10 finish and led for a total of nine laps. Since entering the NASCAR Camping World Truck Series in 2013, the Statesville, N.C.,-based GMS Racing team has logged 11 starts at the Michigan International Speedway, resulting in one top-five finish and five top-10 finishes, with an average starting position of 8.9 and an average finishing position of 12.4 with eight laps led at the Brooklyn, Mich.,-facility. The 22-year old will pilot Chassis No. 312 in the Corrigan Oil 200 at the Michigan International Speedway. The Baxter-led team last unloaded this GMS Racing prepared chassis at the Kentucky Speedway on July 12. 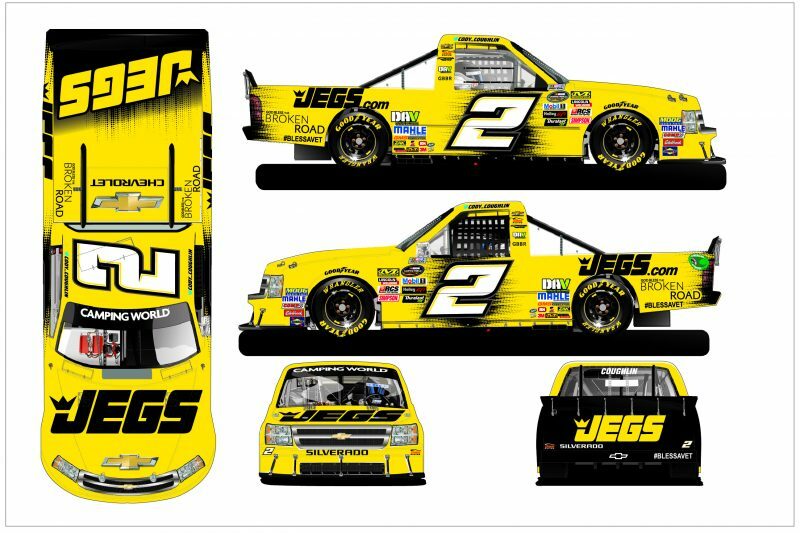 The chassis has two previous starts with Coughlin during the 2018 NASCAR Camping World Truck Series season – including at the Texas Motor Speedway with an eighth-place finish. Baxter, the crew chief for the No. 2 JEGS Chevrolet Silverado, has posted one victory (2015, Kyle Busch), one top-five finish and one top-10 finish in the NASCAR Camping World Truck Series at the Michigan International Speedway in six starts. In addition, Baxter has five NASCAR Xfinity Series (NXS) starts at the Michigan International Speedway. 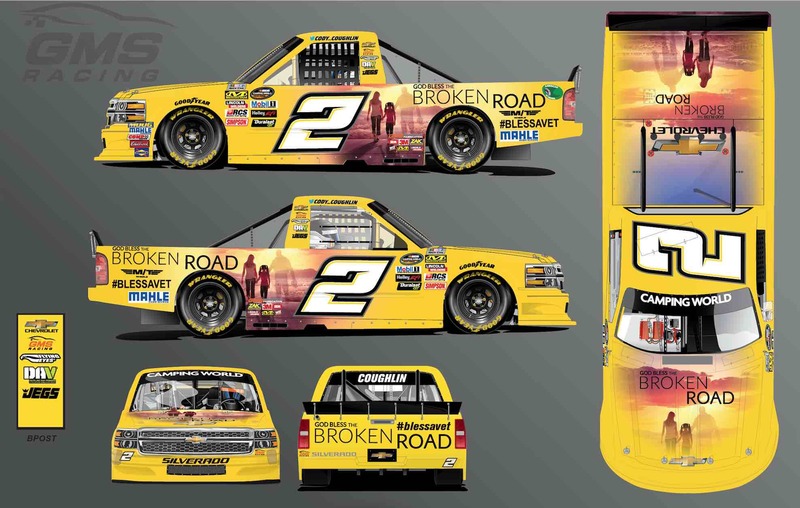 Terry Cook, former NASCAR Camping World Truck Series driver and spotter for Coughlin, boasts seven top-10 finishes in 10 starts in the NASCAR Camping World Truck Series, and one start in the NASCAR Xfinity Series at the Michigan International Speedway. 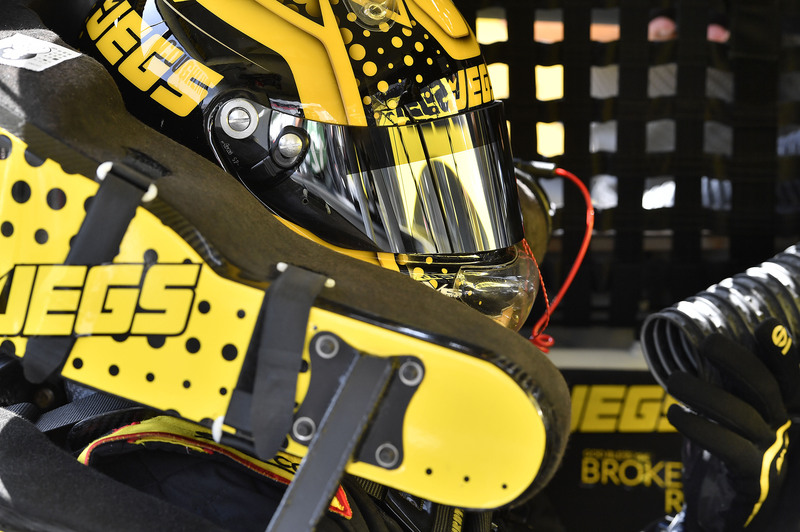 Kevin Hamlin, the Cody Coughlin Racing team manager and former Monster Energy NASCAR Cup Series (MENCS) crew chief for Dale Earnhardt, has four top-five finishes and eight top-10 finishes at the Michigan International Speedway in 29 starts. The Corrigan Oil 200 will be broadcast live on FS1 on Saturday, August 11 at 1:00 p.m. (ET). It will also broadcast live at 12:30 p.m. (ET) on the Motor Racing Network (MRN) and SiriusXM NASCAR Radio. Qualifying for the 15th event of the 2018 NASCAR Camping World Truck Series schedule will air on Saturday at 9:30 a.m. (ET) on FS1. In addition, the practice session on Friday, August 10 will be televised live on FS1 at 1:00 p.m. (ET) and final practice for the NASCAR Camping World Truck Series at 3:00 p.m. (ET) on FS1.